Follow this guide, and you’ll be a vet tech in no time! Did you know that there are only three states that hire more veterinary technicians than Pennsylvania? 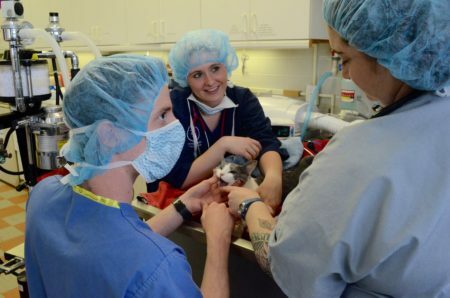 As the fourth-largest market for vet techs, there are plenty of opportunities right here in and around Philadelphia, PA. To be a veterinary technician, you’ll need to receive a quality education that prepares you for the rigors of the daily job. Here’s what you need to do. Although there are many paths you can take to apply to vet tech schools, it can definitely help you be a more competitive applicant if you start preparing while still in high school. Students interested in becoming future vet technicians should look to take advanced and AP biology classes if they are available, as well as math—especially algebra. Chemistry and communication classes can also be a great idea. Not only will this look good on your application, but it will also prepare you for the college vet tech curriculum. 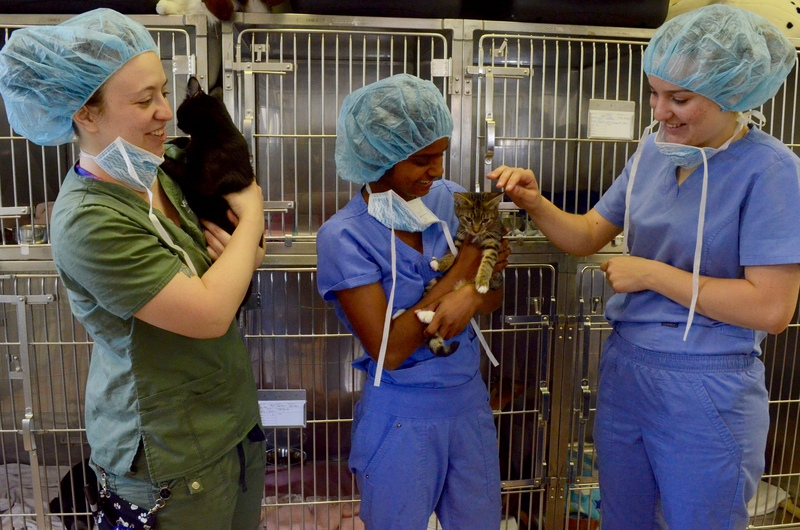 What can you do beyond the classroom to prepare for applying to vet tech schools? Finding a part-time job or volunteer position with a local veterinary clinic is a great idea. Many local animal shelters, such as Philly Paws and Morris Animal Refuge, offer volunteer opportunities. This will give you a first-hand view of daily activities in a veterinary hospital, and will help you make sure this is the right area of study for you. Being a vet tech is a rewarding experience, but don’t forget it can often be messy, noisy, and extremely fast-paced! Additionally, you’ll be better prepared for potential school interviews if you are already familiar with veterinary lingo and can speak confidently about why you want to become a vet tech. And don’t forget to ask for a recommendation letter, which can be an extremely valuable part of your college application! There’s a few things you need to consider when applying to vet tech colleges in Philadelphia. One main consideration is the VTNE, or Veterinary Technician National Examination—this is the exam you are required to pass in order to become a licensed veterinary technician in Pennsylvania. And only graduates of AVMA-accredited vet tech programs are allowed to take this test! So: not only do you want to limit your search to accredited programs, but you also want to take a look at what percentage of their graduates successfully pass the VTNE exam. Manor College, for example, has an 82% three-year VTNE pass rate, based on the latest statistics from the 2015-2018 cohort. Visit AVMA.org for more information about the schools that are ranked the lowest nationally for pass rates, and they should probably be avoided when you search for veterinary schools in PA. The VTNEs consist of nine key areas of knowledge: Anesthesia, Emergency Medicine/Critical Care, Pharmacy & Pharmacology, Pain Management/Analgesia, Dentistry, Surgical Nursing, Laboratory Procedures, Diagnostic Imaging, and Animal Care and Nursing. Acing these topics won’t just help you pass the exam—it will make you a competitive applicant for vet tech jobs upon graduation. For this reason, it’s important to choose a school that has a comprehensive and hands-on curriculum. There are, for example, some certified vet tech programs you can complete almost fully online. At Manor College, however, the curriculum prepares you for the same challenges you will encounter in a future workplace. 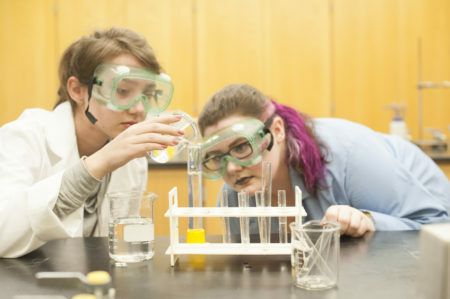 For that reason, the vet tech program makes use of a 35+ acre farm in suburban Philadelphia, and emphasizes small class size clinical laboratories. Today, there are more career options for vet techs than ever before. Some students may be more interested in large animal husbandry— i.e., visiting farms and assessing and assisting with livestock. Other students might be interested in exotic animals and eventually obtaining a job at a zoo (such as the local Philadelphia Zoo) or sanctuary (check out Visit PA’s comprehensive list of animal sanctuaries in the state). If you’re not sure what you want to do, it’s a good idea to opt for a school that offers experience with a diverse assortment of animal patients, both small and large. Manor, for example, receives many students who love working with horses and other large animals—an experience that that isn’t offered at every school. 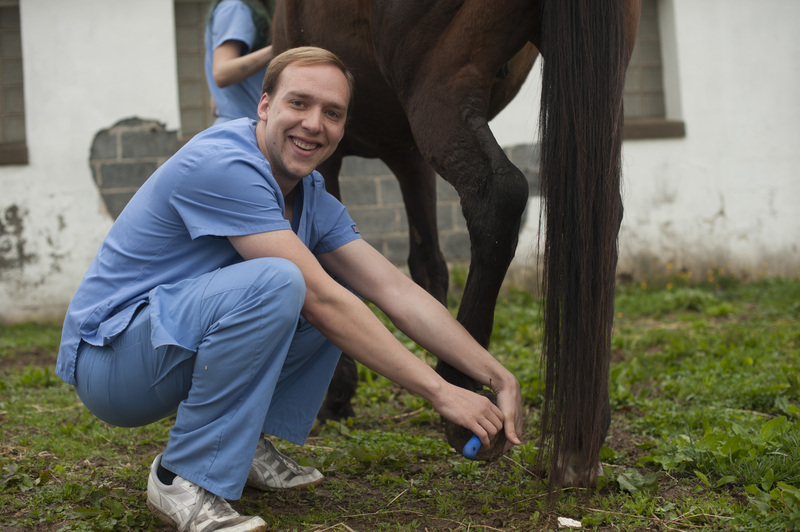 Manor College’s vet tech program offers students the opportunity to take part in clinical externships as sophomores, and approved sites include specialty, emergency and critical care animal hospitals, USDA registered research facilities, and veterinary practices that specialize in equine, feline and exotic animals. 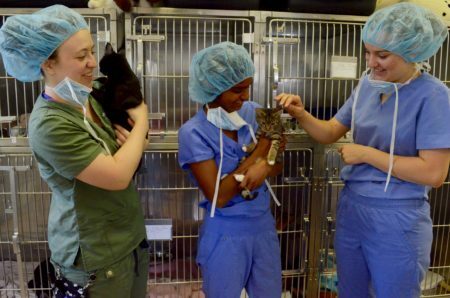 Thanks to the relationships Manor has with a wide number of clinics and animal care sites, students can be matched up with the type of work that interests them. Externships are also a great way to connect with potential future employers! Get in contact with your preferred school’s Admissions Office and ask them about where their vet tech alumni are today. Quality schools will have plenty of success stories. 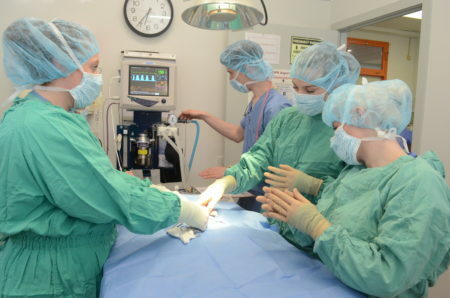 If you plan on staying in the area to be a vet tech, you should consider the benefits of attending local colleges in Philadelphia because of the networking opportunities they will afford. Over 80% of job seekers say that networking has helped with their job search, and the veterinary world is often no different. Your school’s Career Office should be able to help you make connections with local graduates, and being able to say “I went to your school, too” is always a great introduction in the job search process. At Manor, we have a dedicated career counselor who can help both students and graduates alike. Congratulations, you now have your Associate’s of Science Degree in Veterinary Technology! What should you do now? Once you’ve successfully passed the VTNE ( AAVSB.org has a list of VTNE sample questions to give you an idea of the exam), you’re ready to apply to jobs in the workforce. You may want to become a member of NAVTA (the National Association of Veterinary Technicians in America). For Pennsylvania vet techs, there is also the PVMA (Pennsylvania Veterinary Medical Association). While this is not a prerequisite for finding a job, it provides a good opportunity for networking and professional development. Job postings today are requesting candidates who are familiar with technology. Advanced technology is becoming more and more integrated in everyday tasks, and emphasizing your familiarity with vet tech computer programs, as well as the latest lab equipment, is a great point to highlight in your cover letter and resume. Applicant experience with technology such as ultrasound, digital radiography, medical invoicing, vet med practice software, and related technologies will always be a plus. Sites like Indeed.com and LinkedIn are great starting points for finding veterinary technician jobs. Tip: you can opt-in to receive emails from sites like Indeed so that you’re the first to know about new openings are posted in your local area. Have you always had an interest in business? Are you a natural leader? Some vet tech graduates may decide to continue their studies and receive a Bachelor’s in Business Administration, Veterinary Practice Management. Managing a business is the heart of veterinary practice management, and yet many vets and vet technicians have little experience with the economic side of running a successful veterinary practice. Becoming a supervisor or administrative professional is often a natural segue for those interested in practice leadership. Graduating with this degree allows students to become clinical managers, hospital directors, and more. Manor currently offers this degree and students can transition easily into 4-year study from the vet tech program. Are You Ready for Vet Tech Schooling? Start preparing today for your future as a vet tech, and you can easily meet your goal. Being a vet tech can be an incredibly rewarding experience for people who feel a natural kinship with animals, and our programs prepare students for the many challenges they will face in their careers. To learn more about our programs or connect with our alumni network, visit Manor Admissions.